MortgageCouch – the name is different because we are different. In many ways, we offer a customer service experience unlike any other offered by mortgage companies located in Ventura County, Santa Barbara County, and Los Angeles County. When it comes to the majority of mortgages (and the loans associated with them), most homebuyers, owners, and even the American public believe that they are limited with their options. That’s where MortgageCouch comes in! We believe in helping our clients from start to finish. Needless to say, once a client works with us, we guarantee that they will be satisfied at the end of the day. Call it a curse, a calling, or whatever you like, we want to help families move into their dream home, fix their home, or refinance their home. 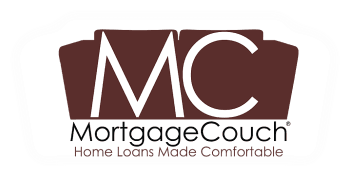 At MortgageCouch, all of our clients deal directly with Matthew Couch or Shelby Bishop. Both Matthew and Shelby have been in the Mortgage Industry for over ten years. NO ONE likes having all of their most personal information handled by a mortgage broker located in another state, but that is typically what happens when people decide to go with larger institutions, even if they have met with a representative at a local branch. We at MortgageCouch believe in helping people in our area, because we live here, and we want to see our community grow. We not only believe in helping our clients, but we also believe in getting to know our clients. MortgageCouch ™ Home Loans Made Comfortable – Right here in Ventura County. For more information, please contact us at (805) 676-0377, or by email at team@MortgageCouch.com.